Hyundai has become a leader amongst the midsize vehicle segment and the 2016 Hyundai Sonata, is certainly at the forefront. Having comfort at the top of the list this stylish and tech savvy sedan will certainly live up to every day requirements while saving up to 5 people comfortably. 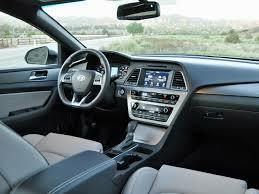 Heated and ventilated front seats as well as heated rear seats. Come standard on the limited and limited to 4 no teacher. Heated steering wheel is also standard on the limited to point out to trim and will be sure to keep your hands toasty during cold weather. With safety in mind Sunday as options like. Blind spot detection with cross traffic alert. Lane departure warning. For driver’s side knee airbag. Automatic emergency braking. Rear parking sensors. Rear view camera with guidelines. And xenon headlights with LED daytime running. Convenience options such as. Proximity key entry. Push button start. Hands free smart drugs. And enhanced blue link are just the beginning of the technology journey in the news tonight. SiriusXM Bluetooth CD MP 3 capability all come standard while infinities 9 speakers premium audio with navigation and 8 inch touch screen infotainment system our options. Information about Headlights for 2016 Hyundai Sonata see at: http://gaslightsalon.com/hyundai-sonata/headlights.html. The panoramic sunroof on the limited to point out to you is massive and spans almost the entire roof line. 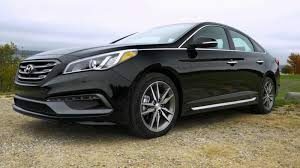 Regardless of which trim level is chosen the sonata performs everyday tasks in style one corporation to Hyundai assurance 10 year 100000 mile powertrain warranty. Come see this industry leader in person right here out affair Monday of Manchester.